They were happy to change the booked date and did the work at a time to suit me - very helpful. The team in Berkhamsted go the extra mile always and the manager of the shop is very good!! I was impressed with the staff, friendly, efficient and human! Convenience and location. But most importantly the friendly and knowledgeable staff. They are clearly very keen that all their customers should enjoy the best value. The guy Stuart who served me gave great service. He gave my 3 year old daughter a clipboard and pen so she could draw whilst we waited. This is fantastic customer service. Stuart and Alex who did the work did a fine job. 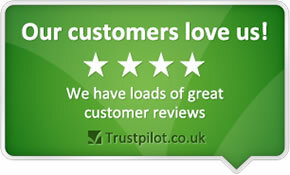 I received a really good service and what I felt was a good price for my car repairs. My car had made a loud bang and then had a rattling noise coming from underneath. I went to the Berkhamsted branch, which was where I was visiting, and this was dealt with really efficiently and professionally by Charlie and Vitor which took so much stress out of the situation. The car was checked and fixed within an hour and a half which didn't even interfere with any of the plans I had for the visit. I wanted to thank them for making a situation which could have been really stressful so much better by their thoughtfulness and professionalism. Helpful , polite , good service. The best price that I could find and they were open on Sunday. They got the job done quickly and ran through with me how much it was to service my car if required. Really, really good place and will definitely be using them in the future. Was dealt with right away. The staff are polite, explain exactly what is needed and do a good price too. Good customer service and education My other garage was cheaper though. I came to you as my other garage recommended it as they didn't have a tyre in stock. Always professional and helpful. Local. This was my first ever visit to a National Tyre and autocare centre (berkhamsted) I found it a very quick, efficient and friendly service. I was in a urgent quick service on the tyres as I was on my way to Silverstone and it was a Sunday. Polite, friendly and efficient service with competitive pricing. My local branch needs a makeover. Competitive quote on the telephone, prompt friendly action on taking car in to have the job done, invoiced as quote and honoured discount coupon presented. The service was courteous and the advice clear. When I found that I could get a much better price elsewhere, there was an immediate response to reduce the price enough to make it not worth my while to go elsewhere. Staff came over as being competent and professional. Efficient and quick service. Friendly staff. Quick service - replaced exhaust rear silencer. Helpful staff. Very professional and friendly service coupled with great value. The man who I dealt with, Charles dean, was extremely helpful and gave me very helpful advice. I felt like a could trust and he wouldn't rip me off just because I'm young and a girl. Service great and good price. Excellent customer service, found two tyres at another branch quickly and without fuss. Your employees never try to sell me a tyre I don't need. chris was very personable and the other guy could type my phone number in the system without looking at the key pad, good skills! No hard sell, just friendly advice and quick service. The excellent professional & friendly service. The staff are always willing to advise & are very helpful & patient. Good friendly service and sensible advice about further areas that need attention. extremely helpful and knowledgeable staff at Berkhampsted branch. Have used National Tyres before and return because of good service. Always friendly professional service, always do there best to give best price possible - reliable and always quick to help. I used National a few times before and was happy with the service. Very friendly helpful and polite man in desk. Efficient service. The service was very good and the tyre was changesd promptly. All round service that I received. The job was done quickly and at a good price. Not 10, because after asking the fitter allocated to my job if it would cost much to have a longer valve fitted to another wheel (OSR) when I was having a replacement tyre fitted (NSR) - and being told "No, it wouldn't cost much" - I was subsequently advised in a rather take it or leave it way by the person actually handling the new tyre-fitting transaction that it would cost me £10 more to replace the valve on the other wheel - hardly inexpensive! Very helpful, communicative, informative and efficient. Good, friendly and professional service. Reasonable service at a fair competitive price. Very friendly and professional staff. Have used this Branch for a lot of years and find the present team first class. Very helpful and professional service. Clear upfront pricing. Usually immediate or same day service is provided. Excellent, quick, efficient, friendly service. Always had friendly, fast, professional service from my local branch. Prices are competitive. Transparency of advice and cheapest good quality tyres. Reliable, convenient, explain any issues. From phone call to getting the product was a quick, friendly & professional service.